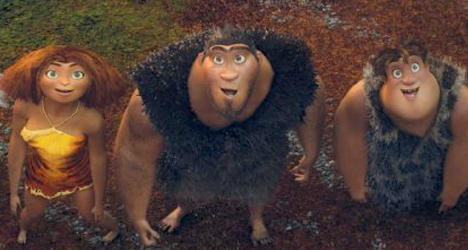 Eep (Emma Stone), Ugg (Nicholas Cage) and Thunk (Clark Duke) stare in amazement in "The Croods." They may not be the modern-Stone Age family most are familiar with in the cartoon caveman world, but “The Croods” is just as satisfying as any brontosaurus burger you’re likely to find at a prehistoric drive-thru. 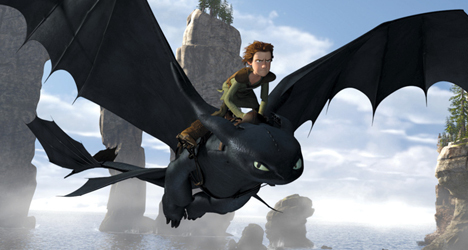 Sure, the characterizations can sway into familiar territory, but with some overall rock-solid voice acting and directors/writers Kirk De Micco (“Space Chimps”) and Chris Sanders (“How to Train Your Dragon”) digging deep into their imaginations for some fun storytelling, “The Croods” is a family-friendly winner in any era. While the title of the film isn’t a great way to introduce us to the family (they might as well have called them The Uncooths or The Roughinskys), “The Croods” makes up for it in entertaining albeit recognizable characters. Grug (Nicholas Cage) is the overly-protective patriarch of the family, who uses fear-mongering to get his family to always stay safe in the confines of their cave. Monstrous cat-like creatures roam the terrain, after all. His rebellious teenage daughter Eep (Emma Stone), however, is curious to know what she is missing in a world so full of wonder (“Little Mermaid” anyone?). Rounding out the family tree is Eep’s mother Ugga (Catherine Keener), the logical thinker of the family who understands where her daughter is coming from; Eep’s dopey brother Thunk (Clark Duke), who is basically Chris Griffin (“Family Guy”) in woolly mammoth clothing; Gran (Cloris Leachman), who technically isn’t a Crood since she’s Grugs’s mother-in-law, but still delivers some old-lady laughs; and Sandy (Randy Thom), a toddler that acts more like a Gremlin than baby. When the family meet Guy (Ryan Reynolds), a more civilized version their Neanderthal selves, Ugg is skeptical of all the fancy inventions he introduces them to like fire and shoes. Driven from their home after a natural disaster, the Croods are forced to journey through strange lands to find a new place to inhabit. During their barefoot road trip, the family learns that experiencing new things is all part of life and doesn’t necessarily mean you’re going to be eaten whole by a Sabre-Toothed Tiger. It’s a wonderful message for kids and stops short before rubbing their faces in it. The colorful and incredibly striking animation and funny sight gags and slapstick are what will keep children under the age of eight the most fascinated anyway. Parents, too, shouldn’t find themselves bored with a collection of exotic animals and settings. 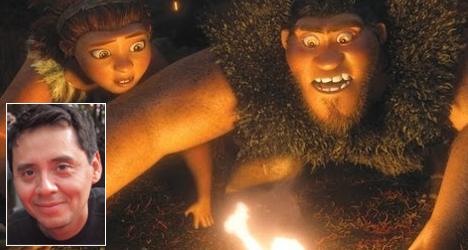 The creativity makes the Croods’ cave-hunting all the more exciting. 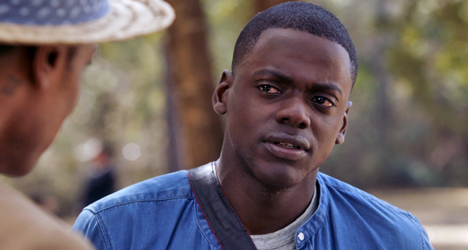 The deeper family story also never slow the narrative down in any way. In fact, “The Croods” says a lot more about the father/daughter relationship than Pixar’s “Brave” said about mothers and daughters last year. 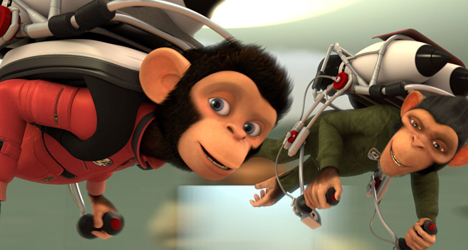 Like in some animated films, there is a scene-stealing secondary character like the Minions in “Despicable Me” or the sly penguins in the “Madagascar” franchise. So take heed parents because Belt, Guy’s loveable sloth who he keeps around his waist, will keep everyone laughing with his cliffhanger-inspired crooning. If you’re lucky, the plush version (and not the stinky alive version) will be on your kids’ Christmas lists this year.